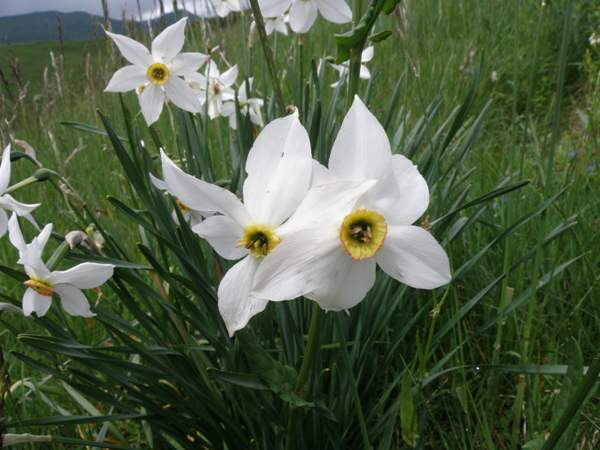 One of the most attractive of the many Narcissus species fround in Europe, Narcissus poeticus is a popular spring flower of cultivation; its common names include Pheasant's-eye Daffodil and Poet's Narcissus. This pretty flower, which can grown to a height of 40cm, has a red-fringed corona and is quite powerfully fragrant. The leaves, which are usually almost as long as the flower stems and sometimes even slightly longer, appear at the same time as the flowers. This lovely wildflower grows in damp alpine and sub-alpine meadows. 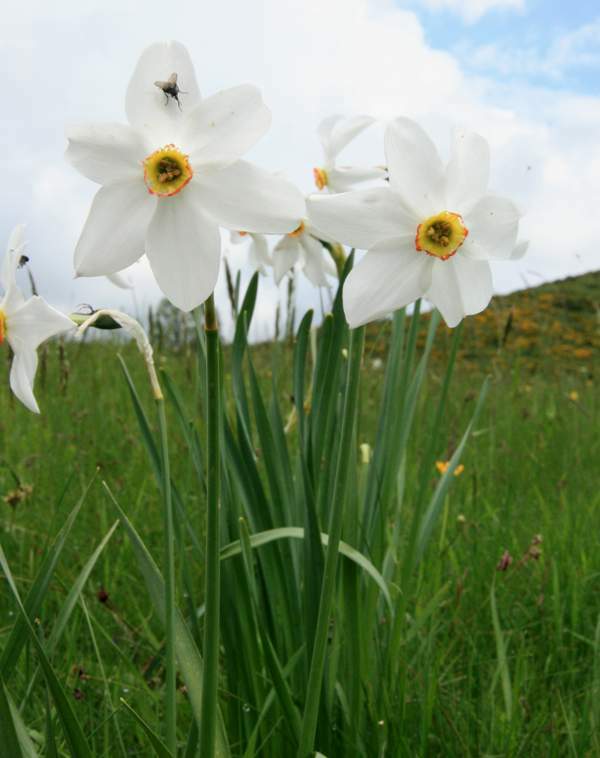 Narcissus poeticus occurs in some of the Mediterranean countries including Spain and Italy but is also fairly common in southern France.